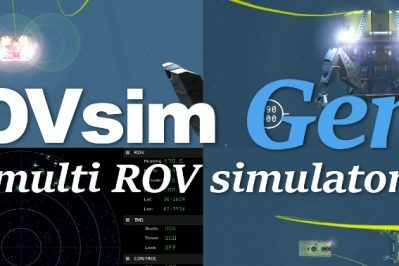 ROVsim and vSHIP, the standard in ROV, AUV and ship simulation. 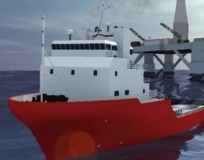 In the field of maritime and subsea simulation, Marine Simulation’s ROVsim® and vSHIP simulators have set the standard for cost effective, physics accurate and visually stunning simulation systems. Our background includes nearly 30 years experience in undersea research, maritime operations and software development. From portable solutions for nearshore operators to sophisticated operations offshore, we can deliver a solution to meet your specific requirements. Our users span the globe, our products are in use in nearly 100 training and educational institutions. 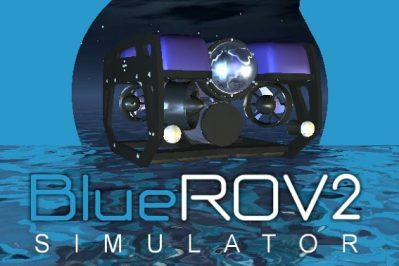 ROVsim Gen3 is a PC based ROV simulation program intended for ROV pilot training and familiarizaton. It includes two ROVs, 17 missions and a complete set of user controls, including: sea state, current, visibility, day/night, input, collisions, serial data output, etc. 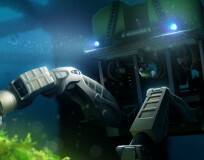 Working and observation class ROVs often work in pairs, and ROVsim Gen3 was specifically designed to include that training requirement. Available as a PC based simulator, vSHIP can interface with marine electronics and navigation software via industry standard interfaces, as well as with other vSHIP and ROVsim installations, providing a real world, coordinated operation simulation. Drawing on our experience in undersea simulation, vSHIP sets a new level of unmatched visual realism and advanced physics simulation. 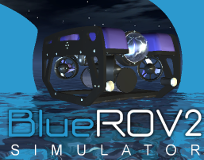 ROVsim BlueROV2 is specifically designed to demonstrate the features and ease of operation of the industry leading BlueROV2 ROV. Originally developed for Blue Robotics to use in trade shows, it is now available for anyone to use and is an ideal tool to demonstrate the ROV’s operation when water access is either inconvenient or not possible. 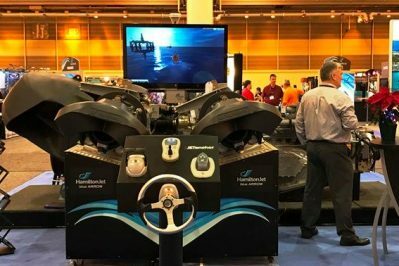 Autonomous vehicles, museum exhibits, trade show kiosks and specialized instrumentation are just a few examples of custom simulation applications Marine Simulation has developed. 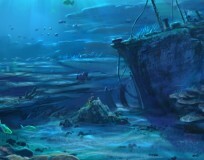 Marine Simulation offers the widest range of computer based undersea simulators in the industry. 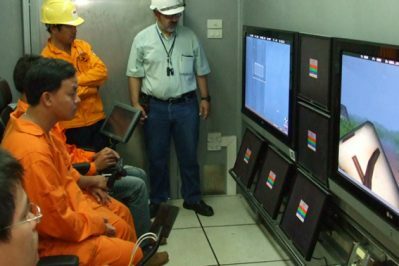 Whether training pilots for a mission with a big working class ROV from an offshore rig or rehearsing with a mini ROV for a water tank inspection, there is a ROVsim simulator for you. ROVsim employs the very latest and most advanced 3D graphics and physics technologies available today. The end result is breath taking visual realism, authentic physics, and a 3D immersive experience that has to be seen to be fully appreciated. 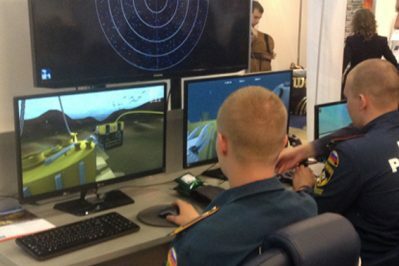 ROVsim simulators are designed to operate on low cost, off the shelf computers and hardware. All our simulators implement and conform to industry standard interfaces, file formats, operating systems and other standards. This not only saves our customers money now, but also ensures that their investment won’t become obsolete. ROVsim simulators are easy to use. You won’t have to fly off site to attend a training seminar just to start using your simulator. We’ve designed our simulators to be as intuitive as possible, everything you need to start teaching pilots using our simulator you can learn in 10 minutes. ROVsim simulators are being used world wide. Our simulators are currently in use in over 60 training facilities and schools in 20 countries.